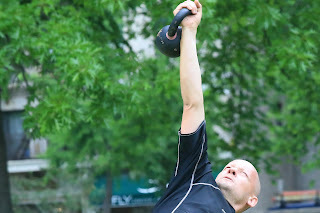 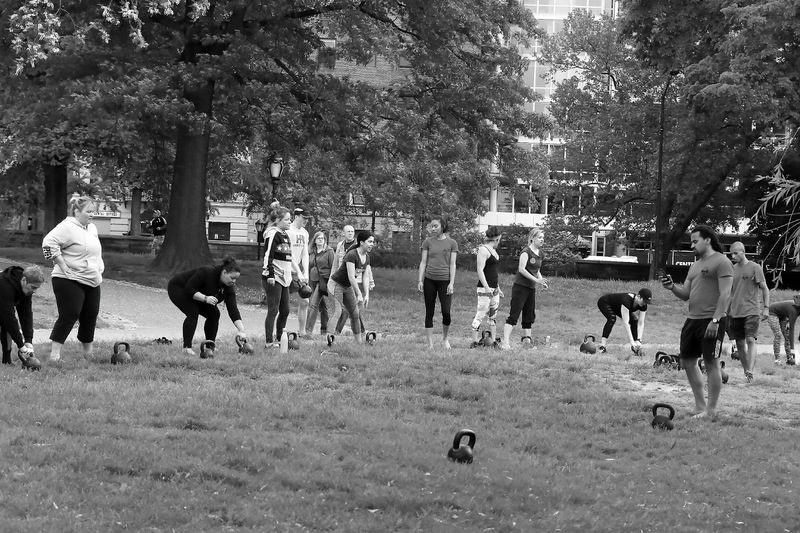 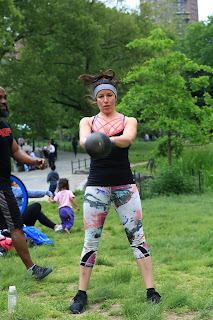 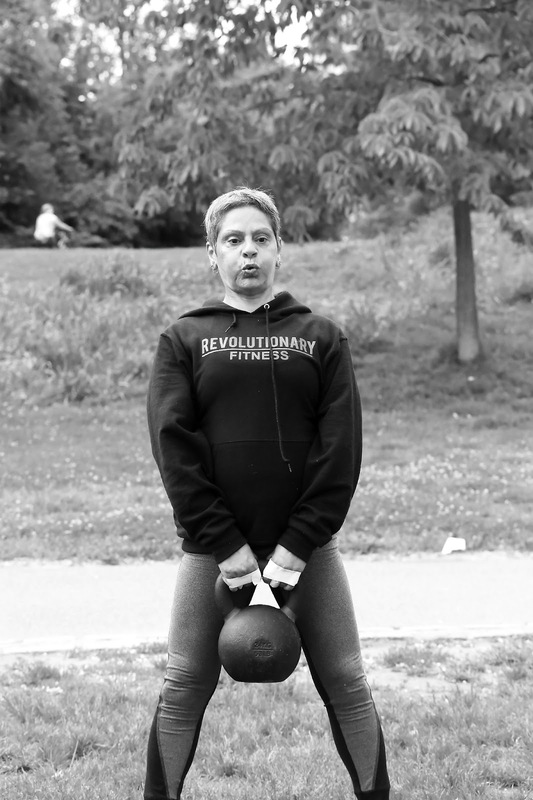 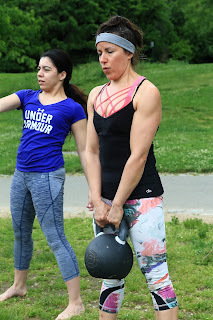 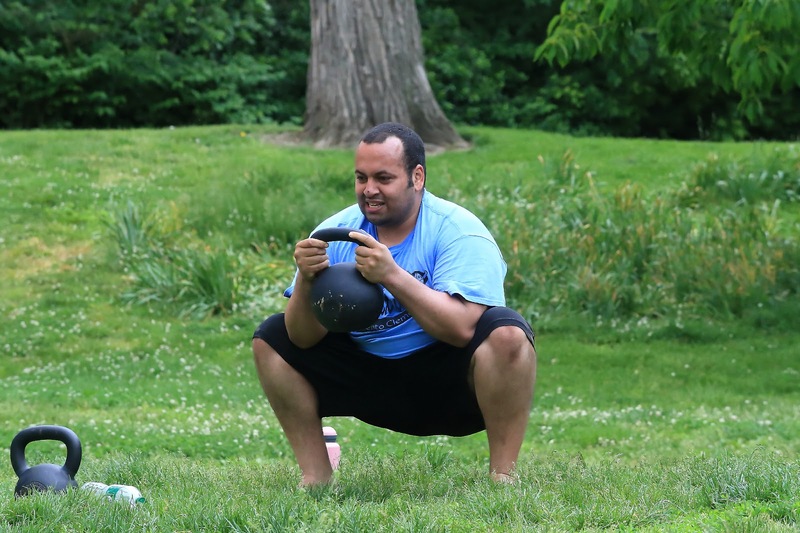 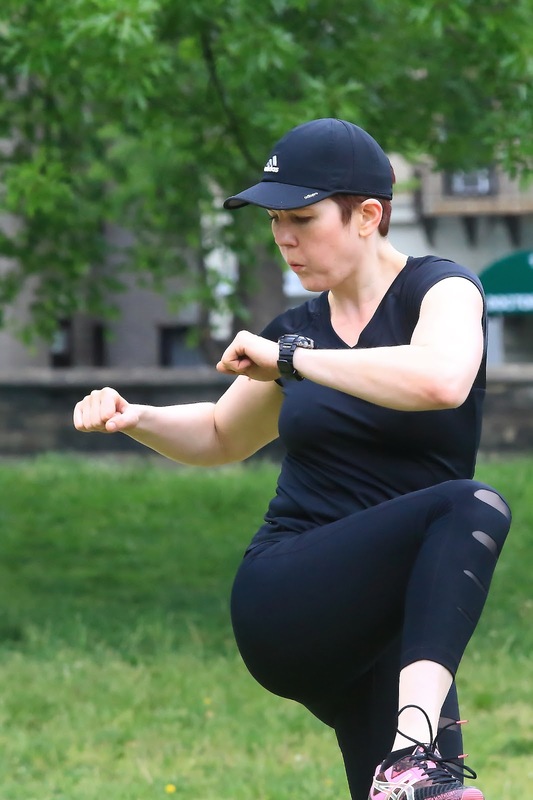 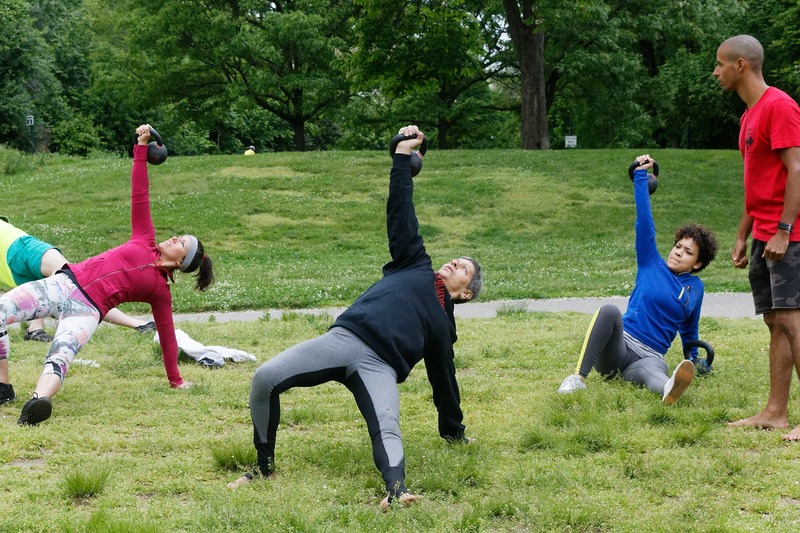 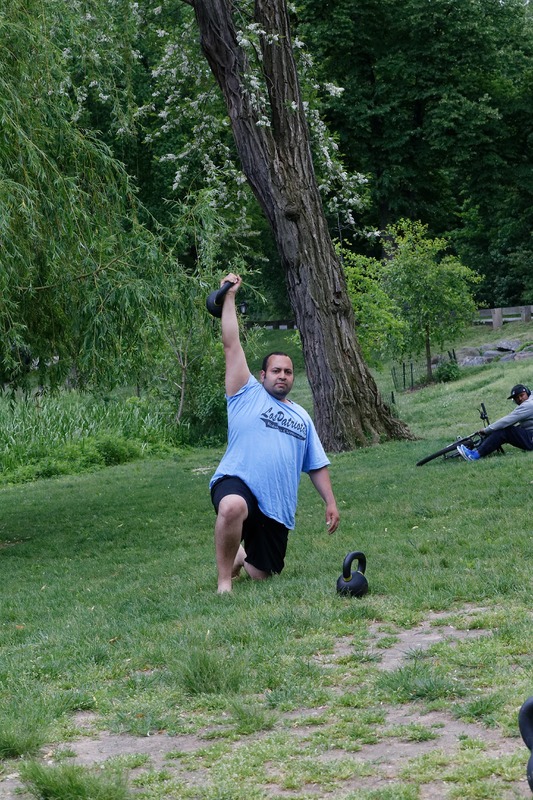 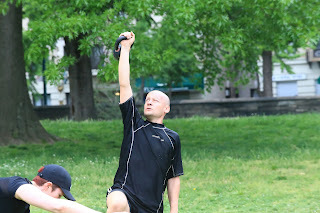 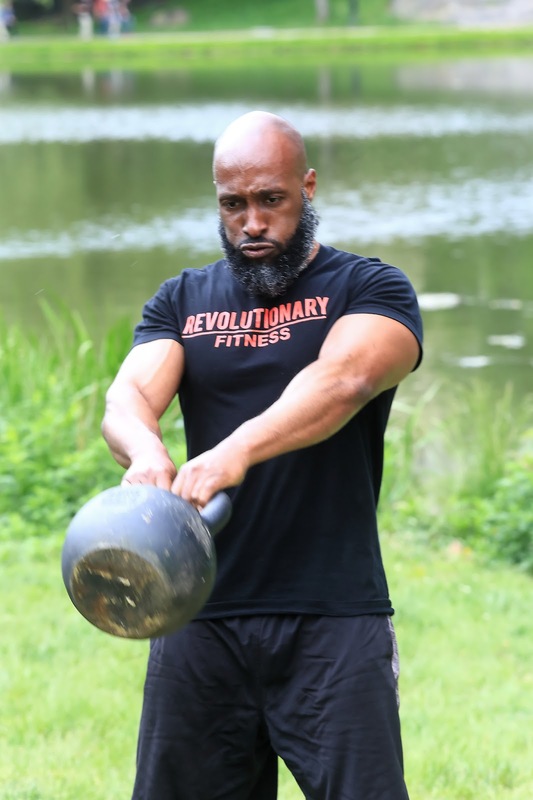 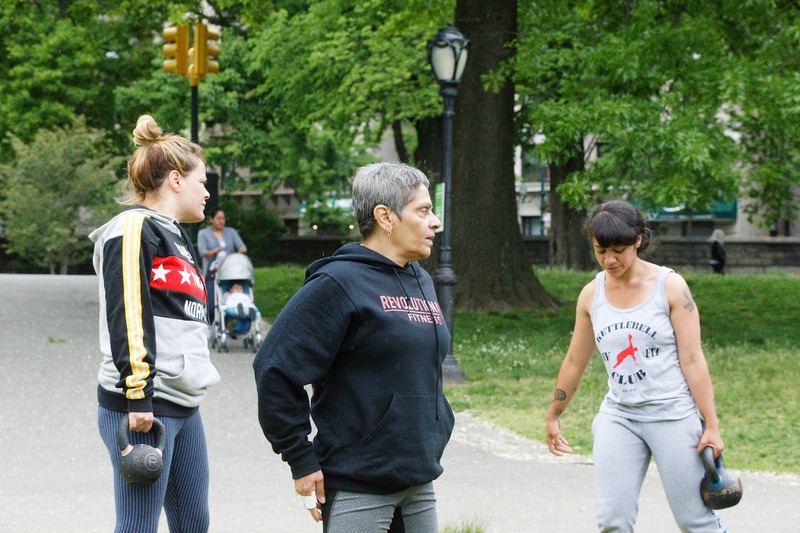 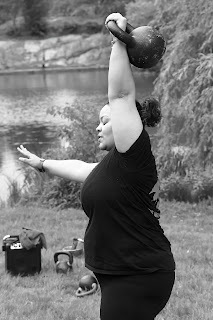 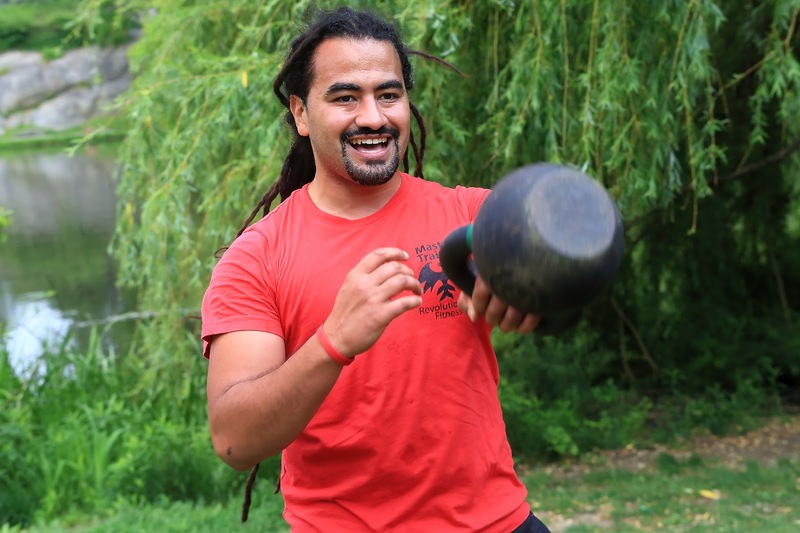 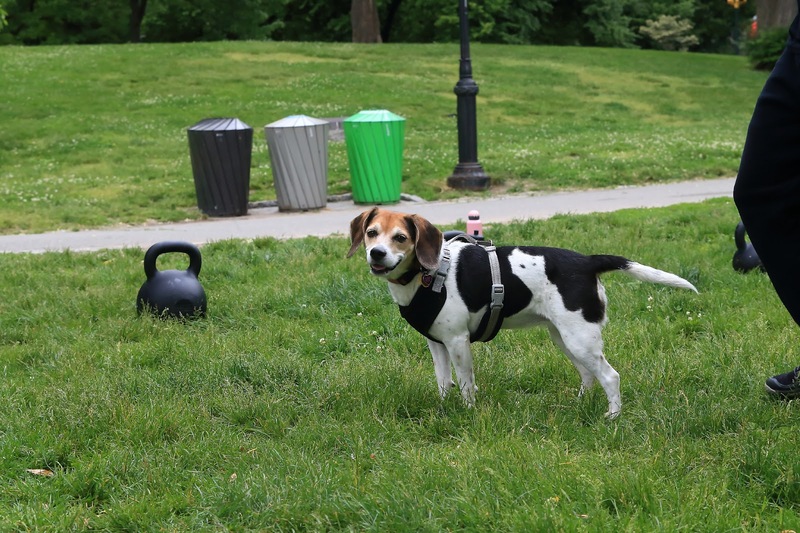 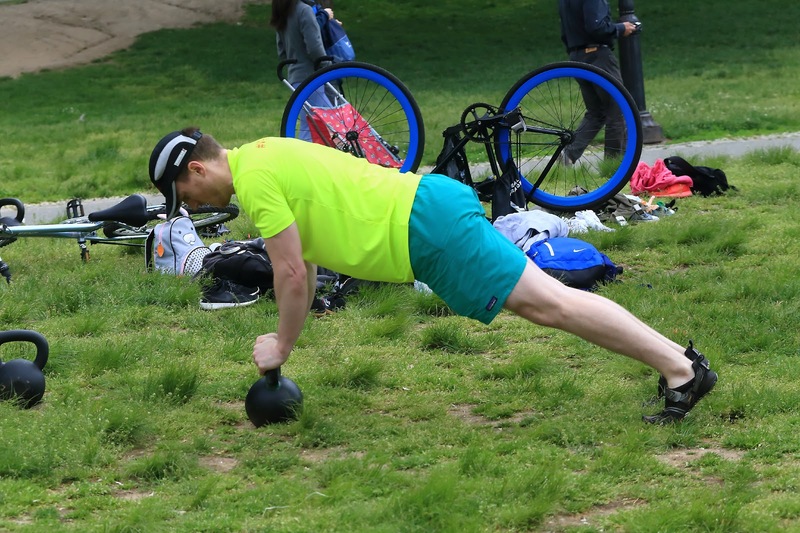 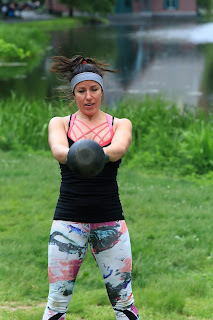 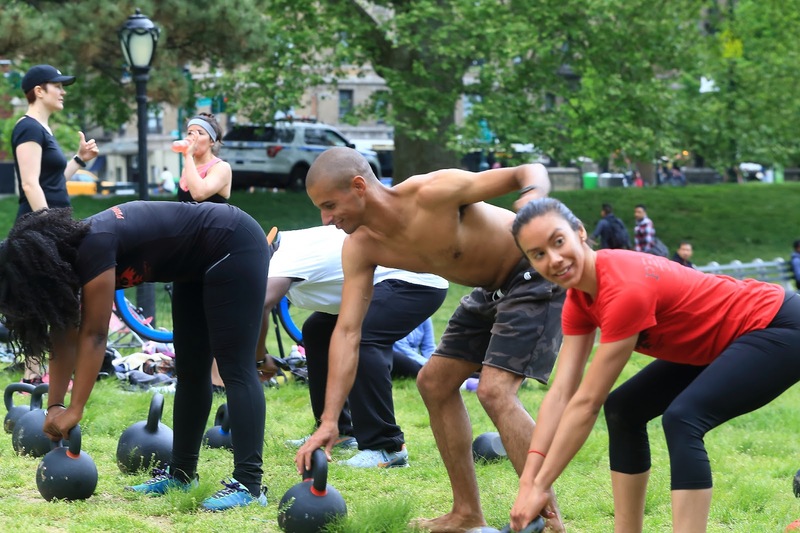 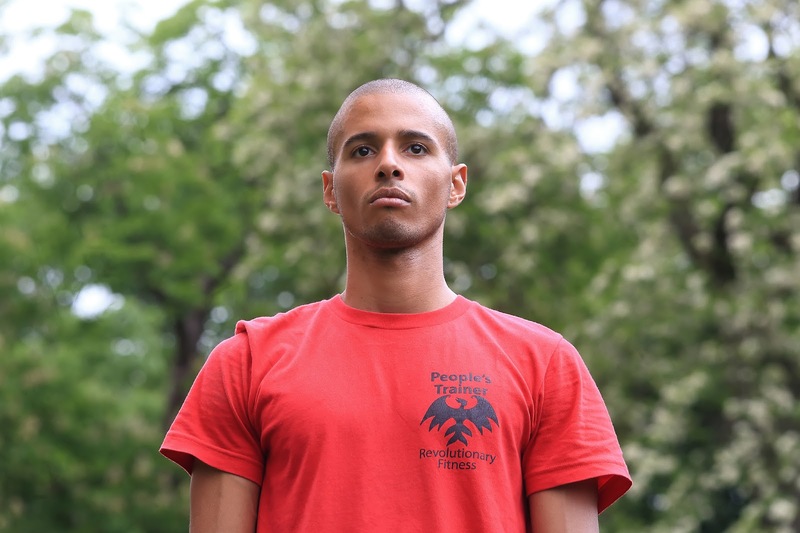 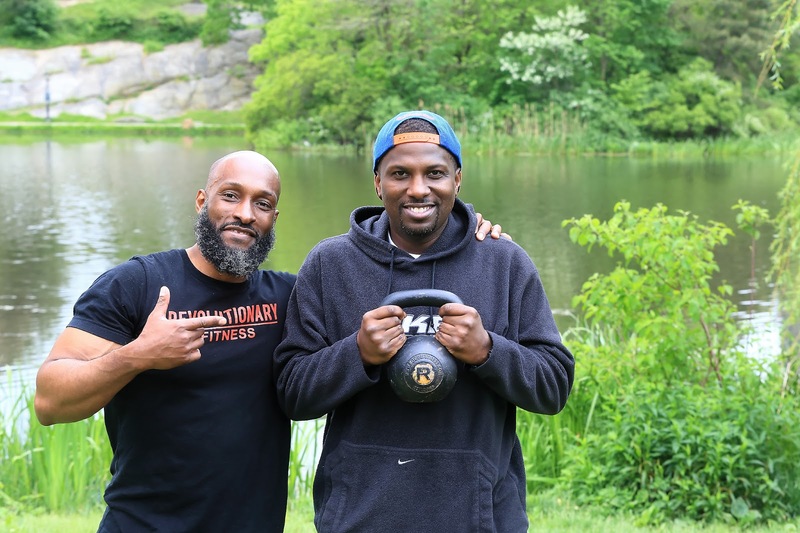 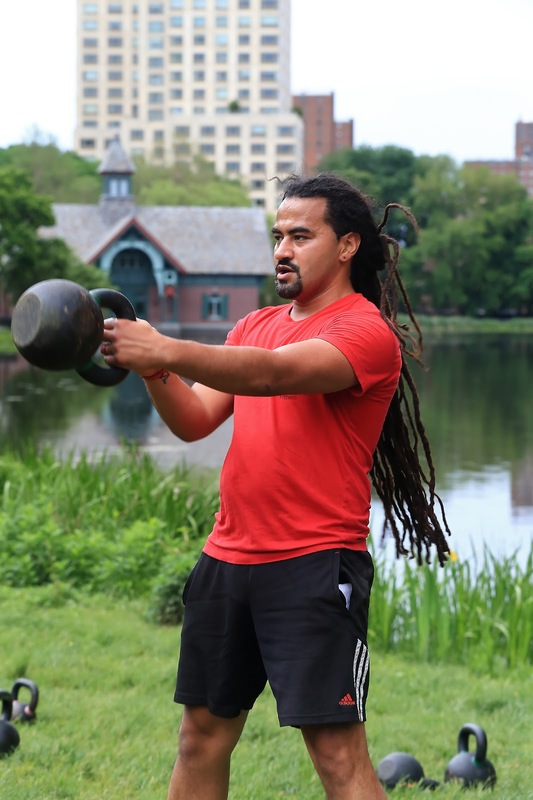 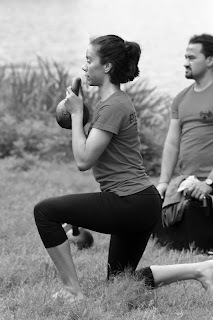 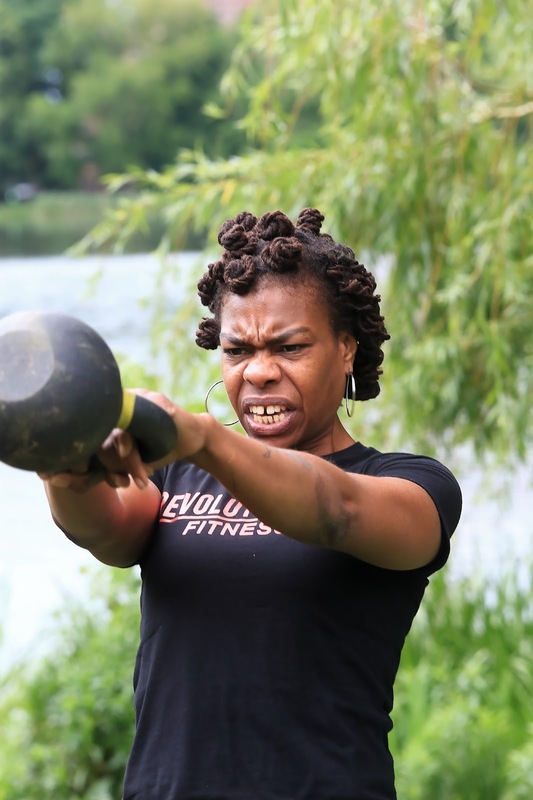 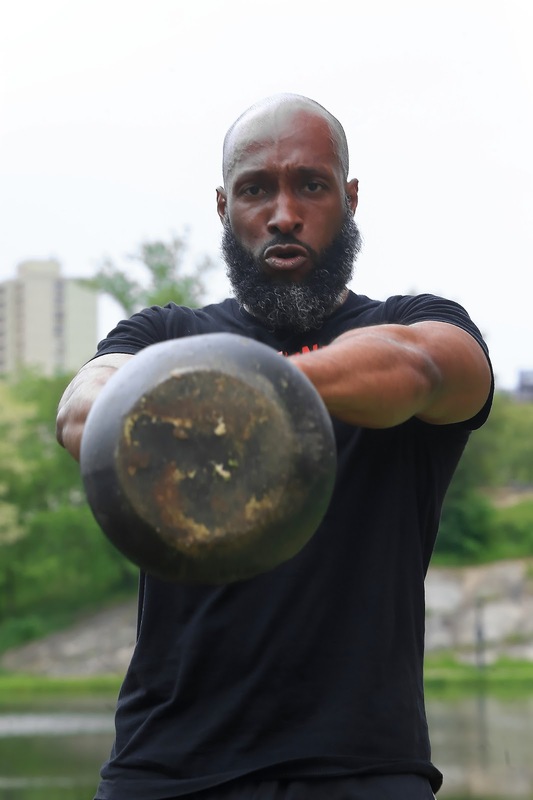 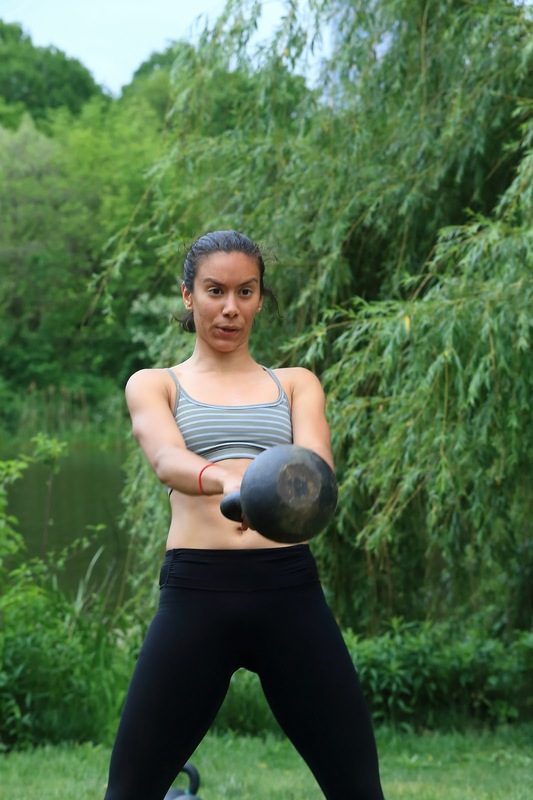 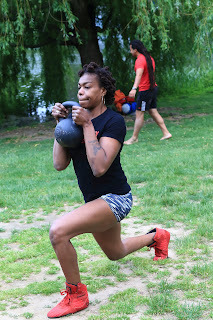 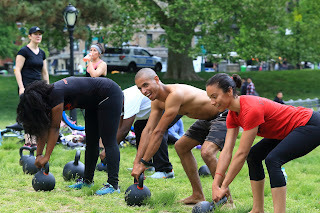 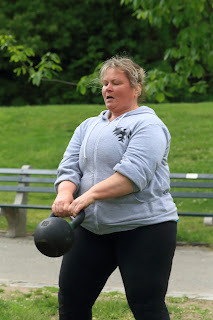 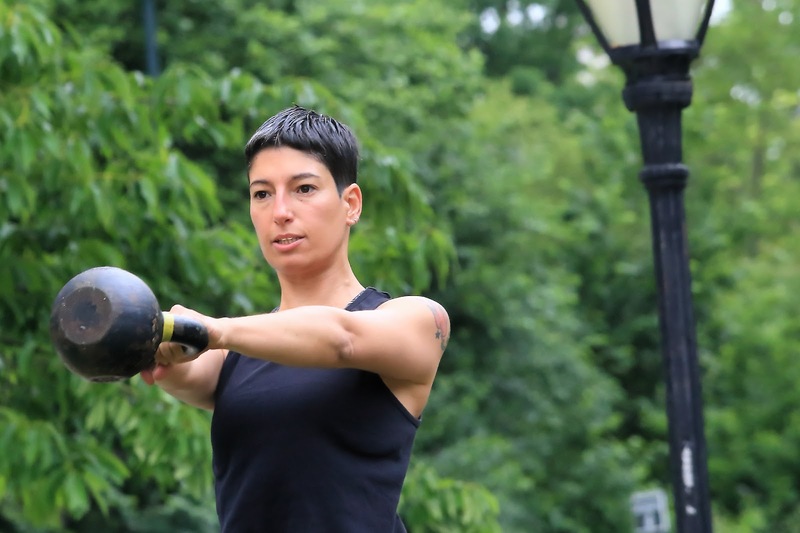 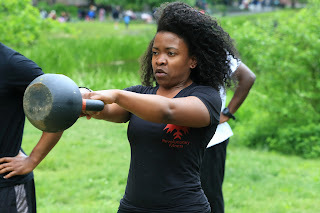 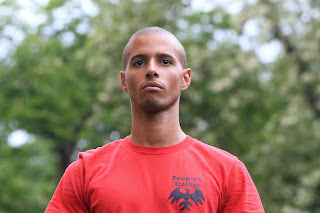 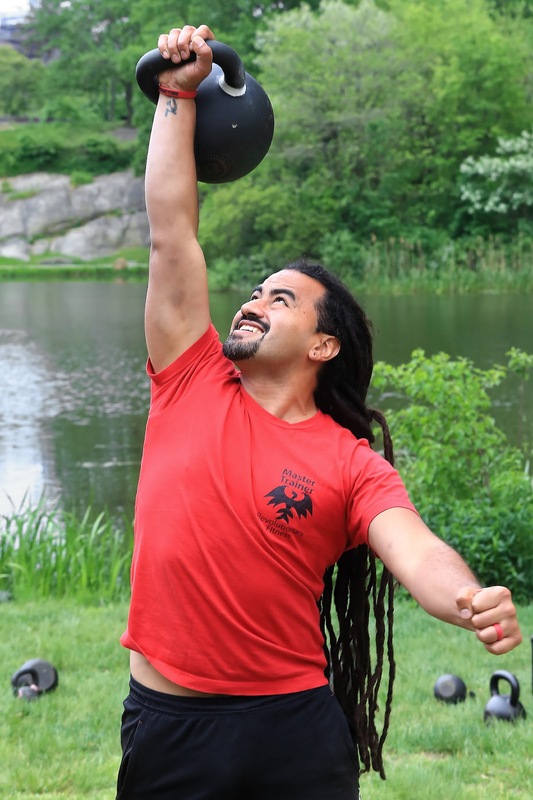 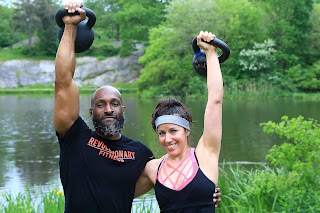 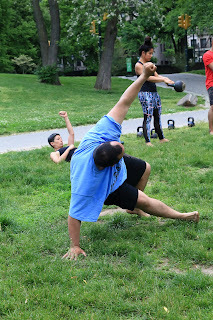 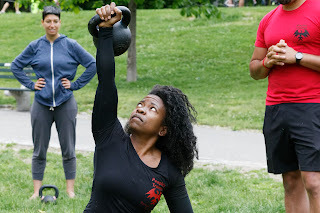 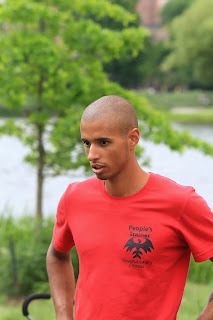 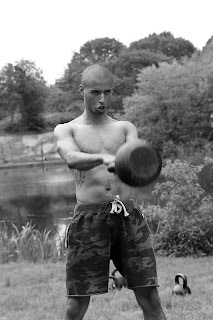 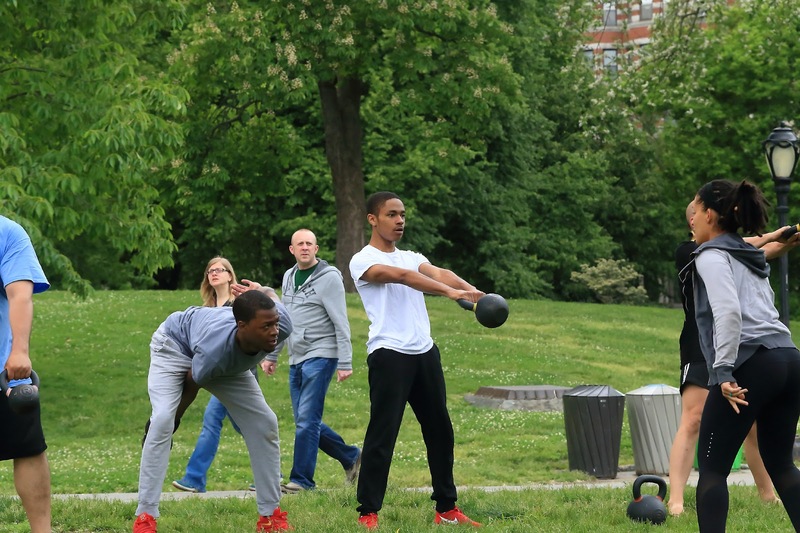 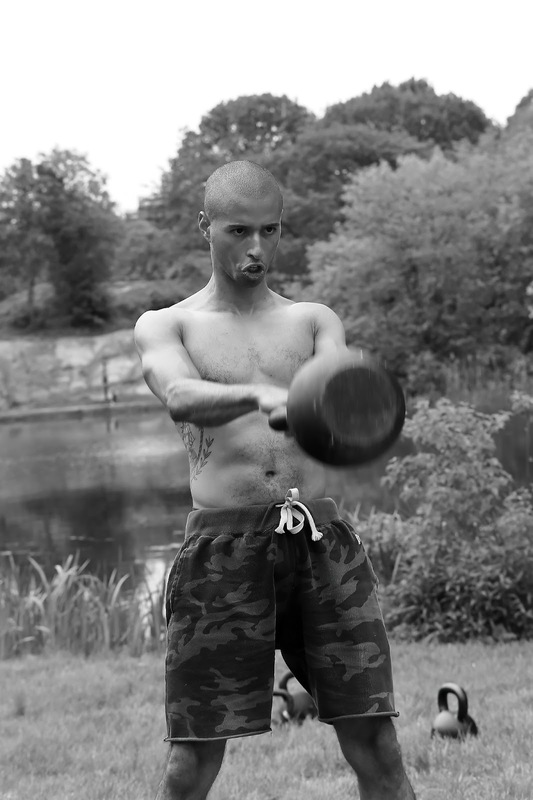 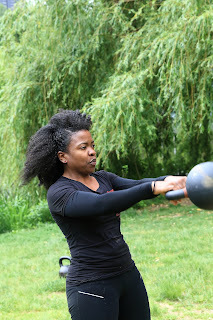 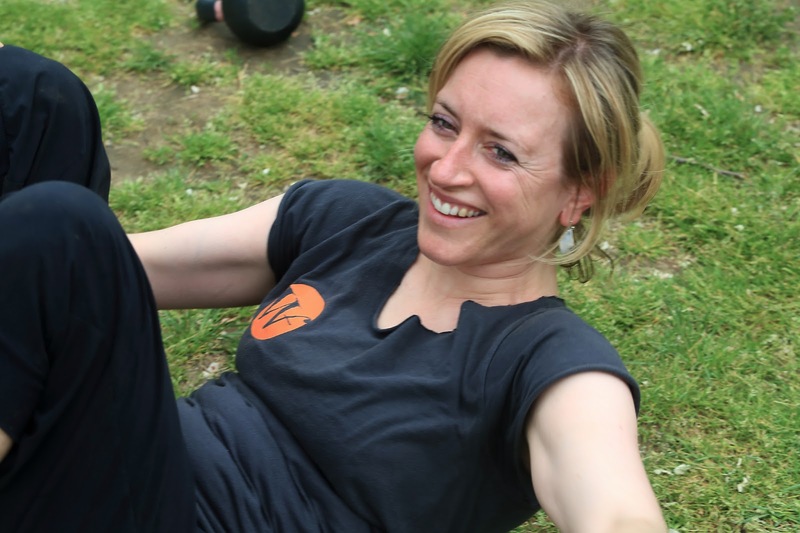 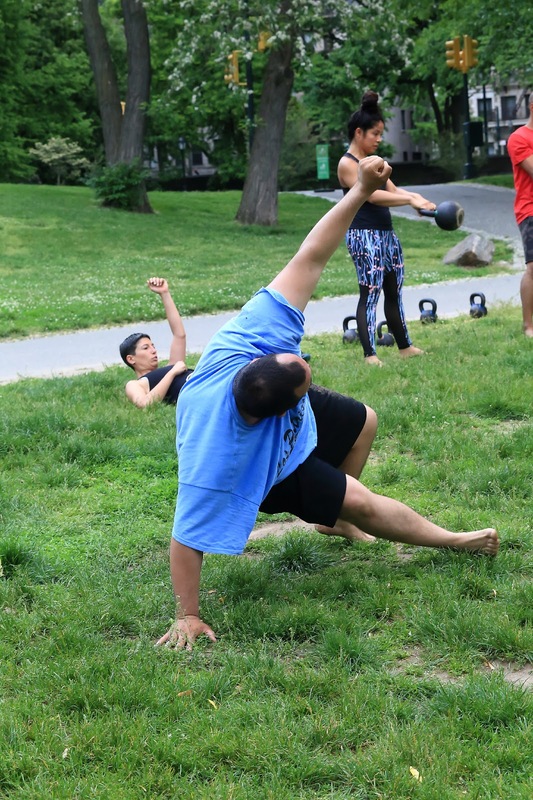 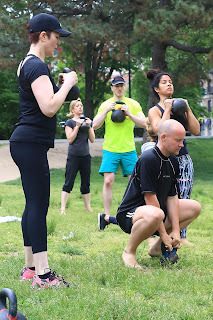 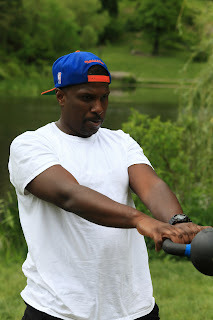 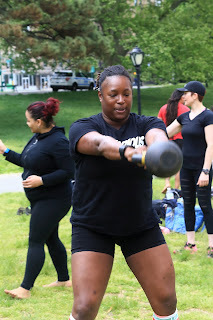 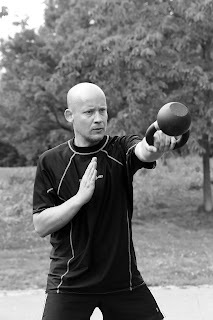 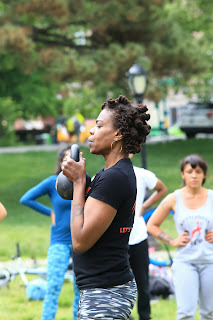 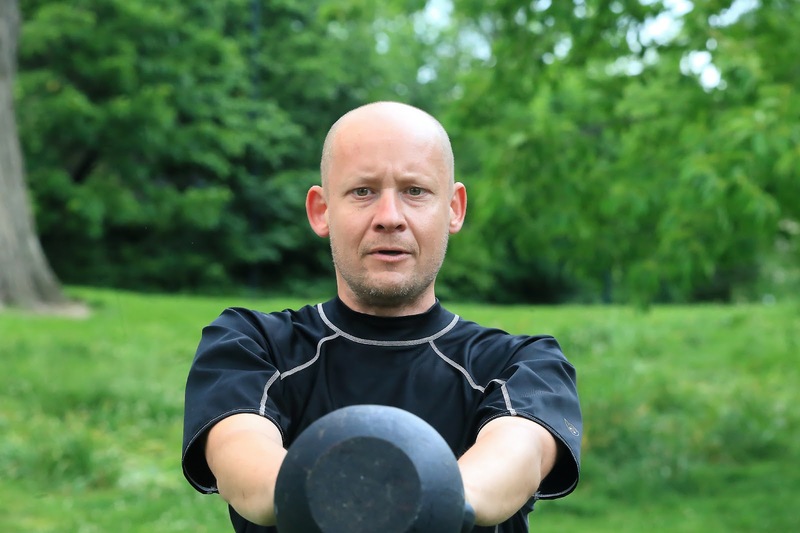 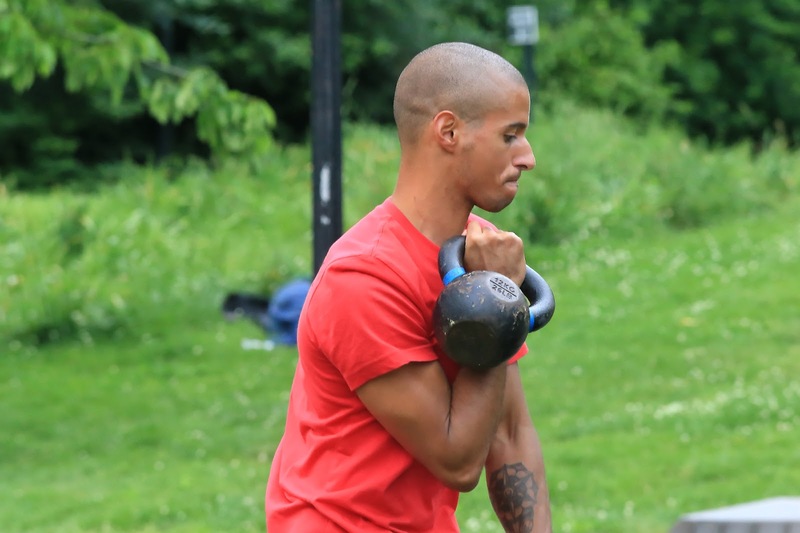 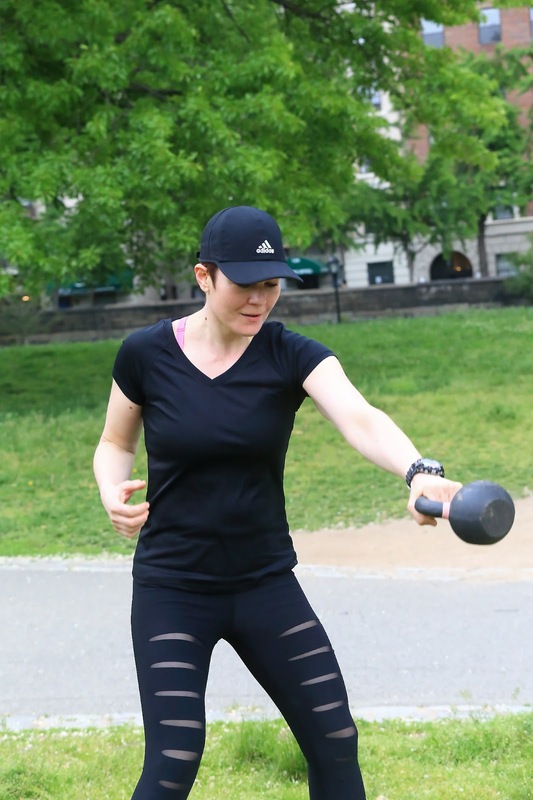 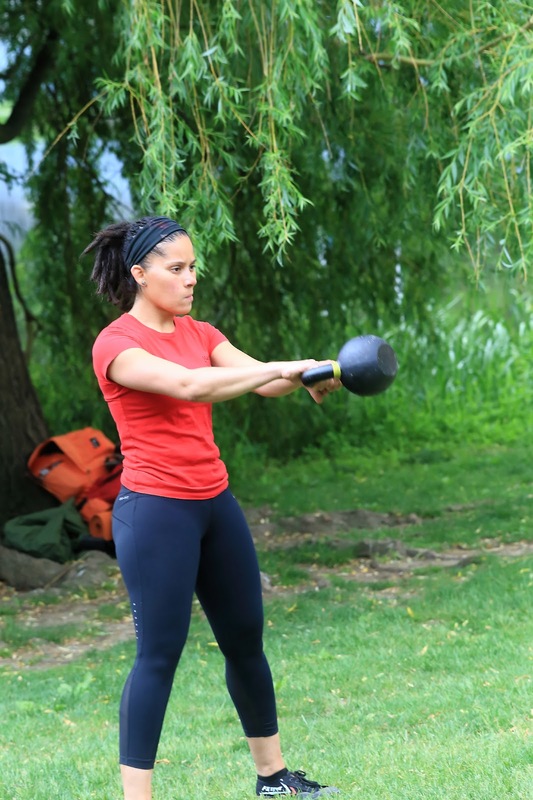 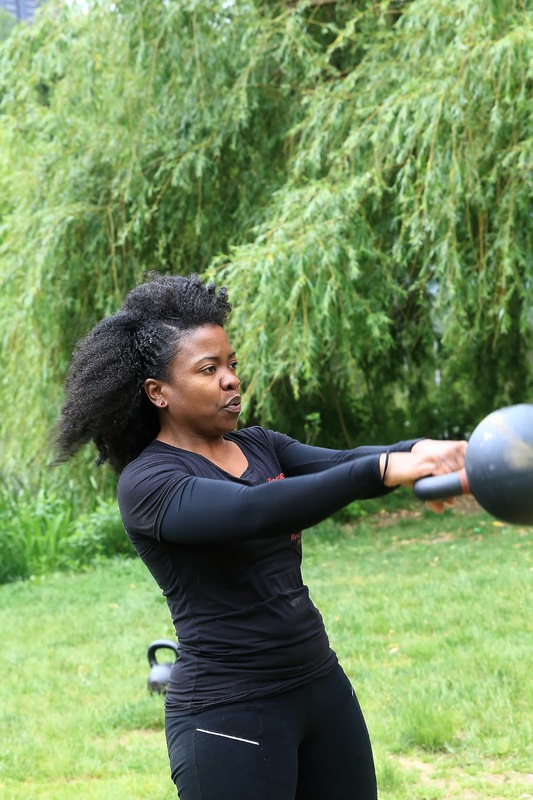 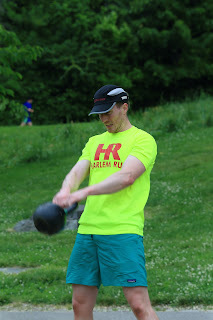 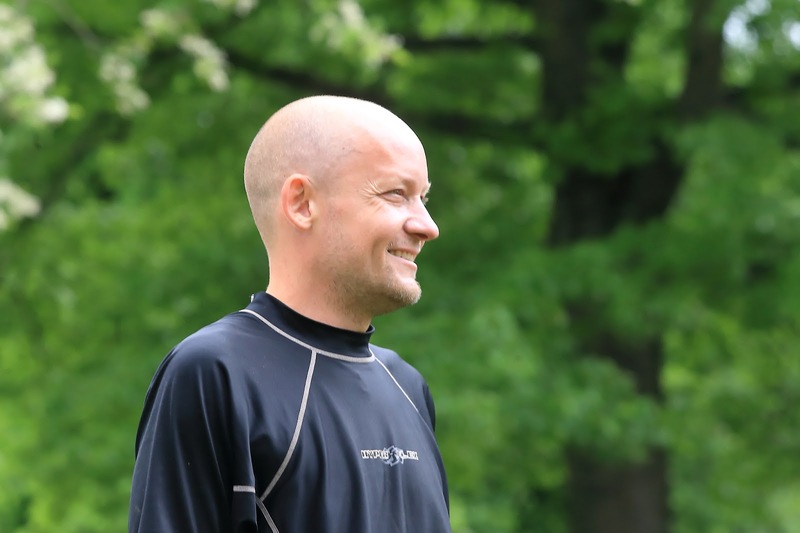 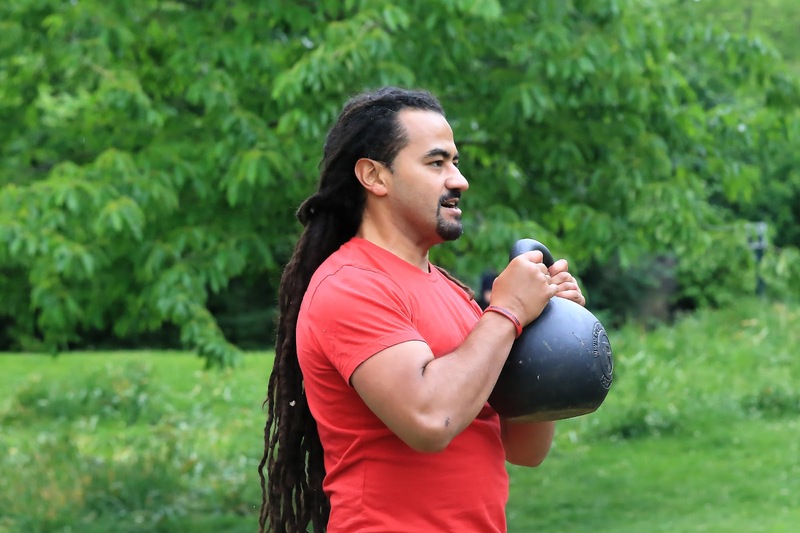 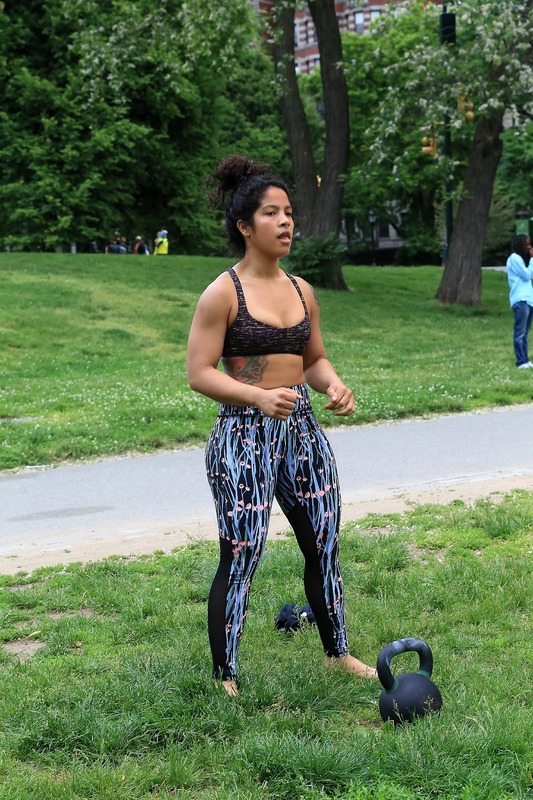 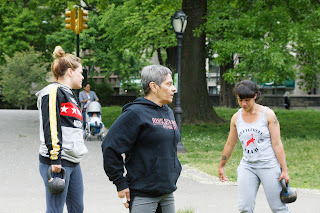 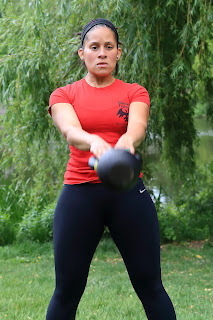 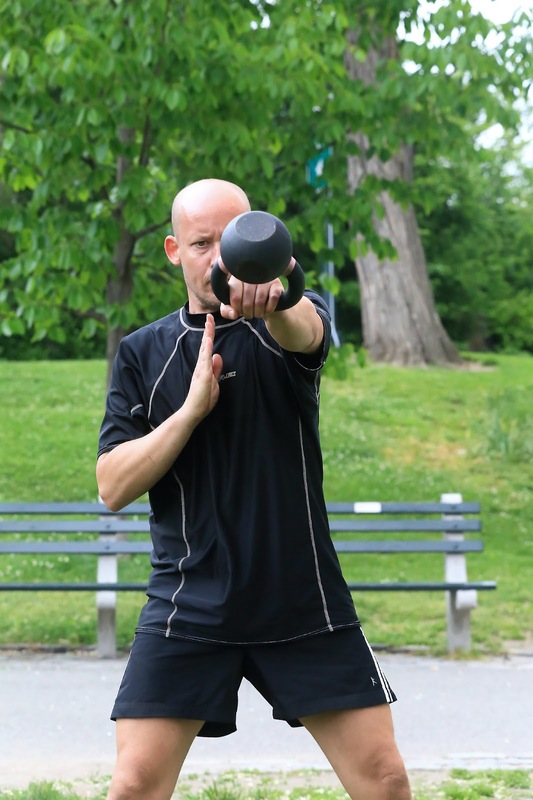 Revolutionary Fitness Kettle Bell Seminar In Central Park. 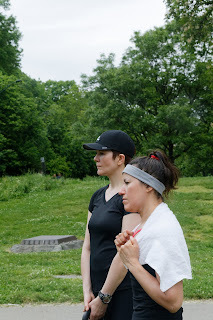 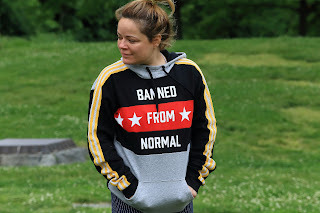 Saturday, May 20th, Central Park North. 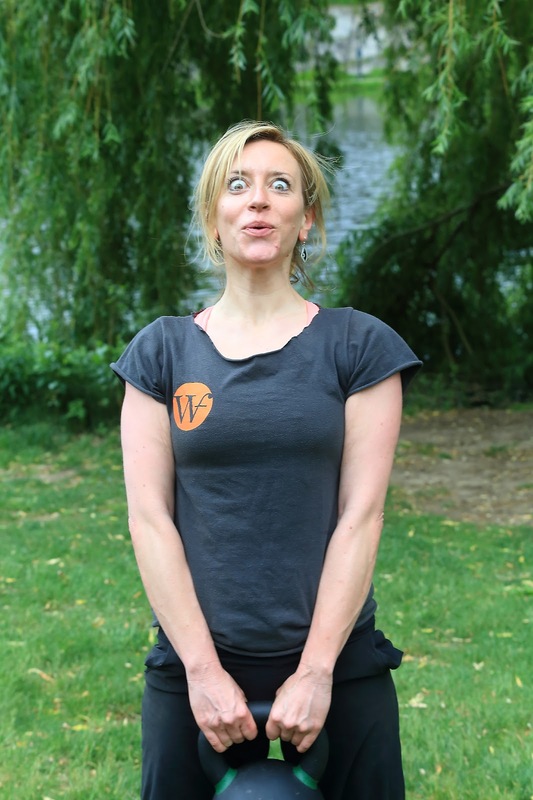 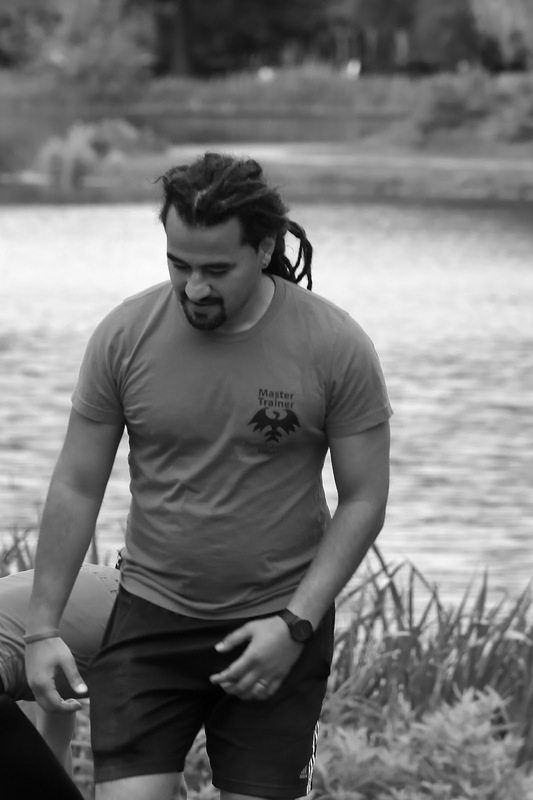 We were on location to see Revolutionary Fitness in action. 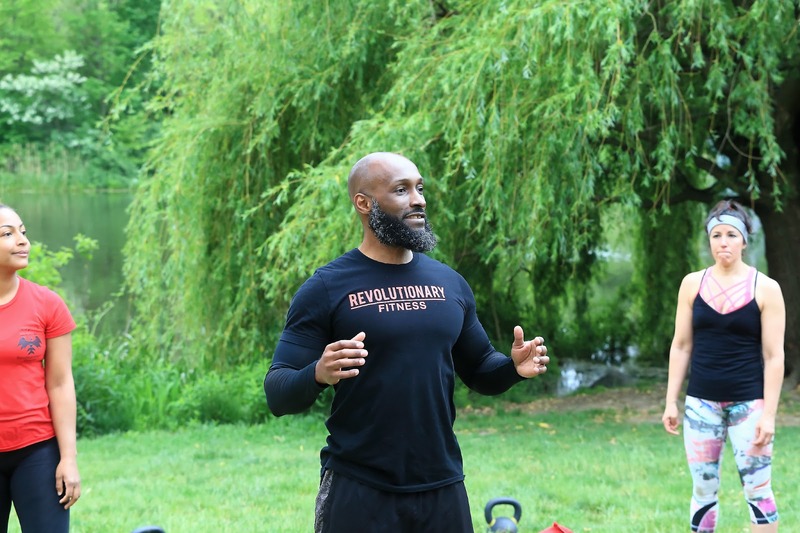 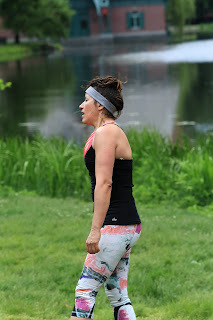 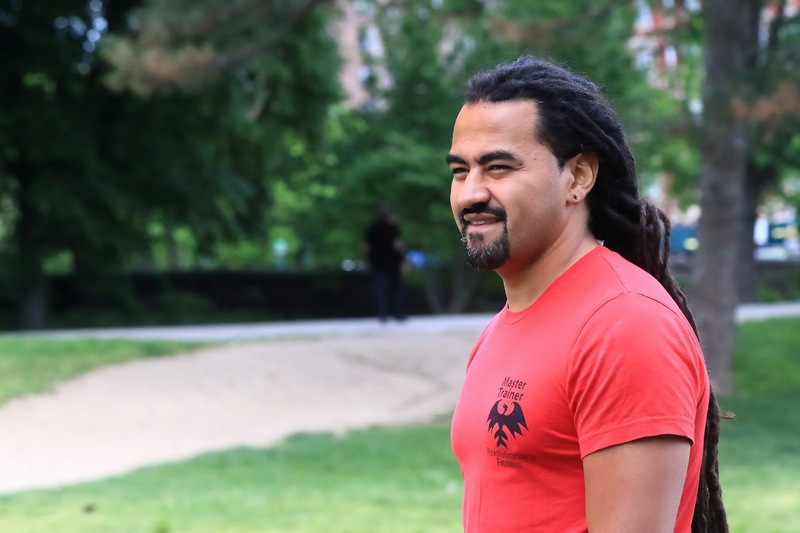 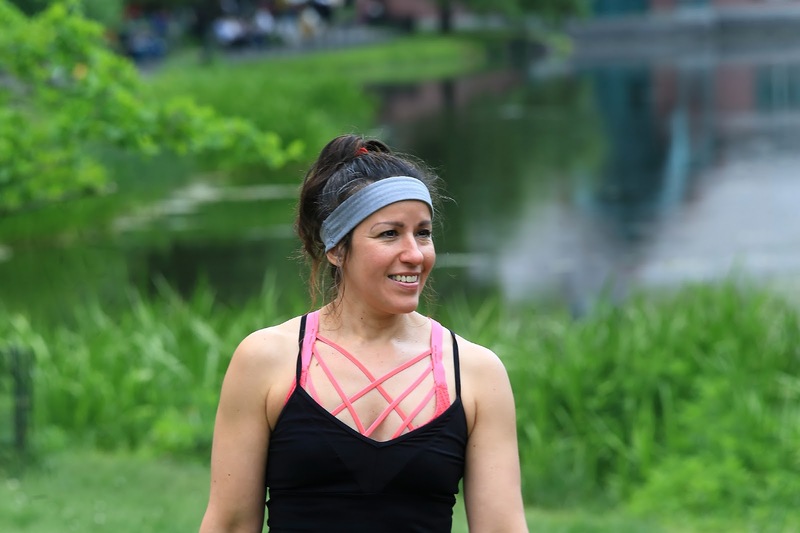 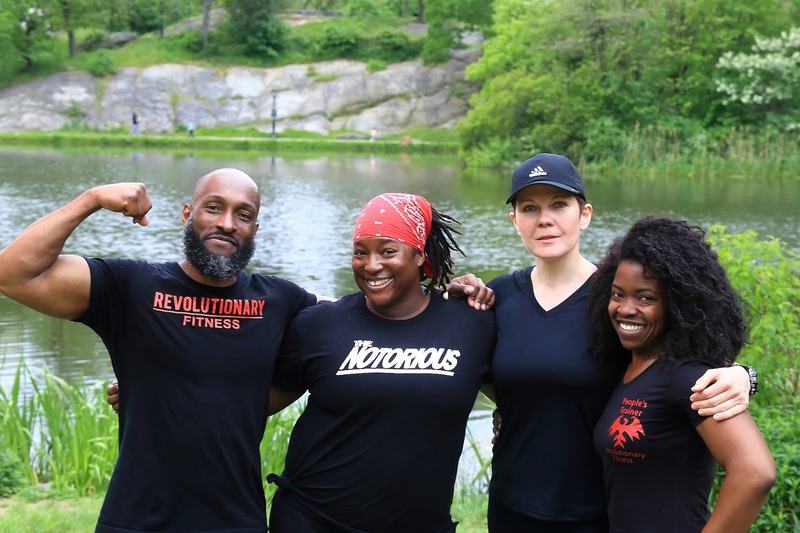 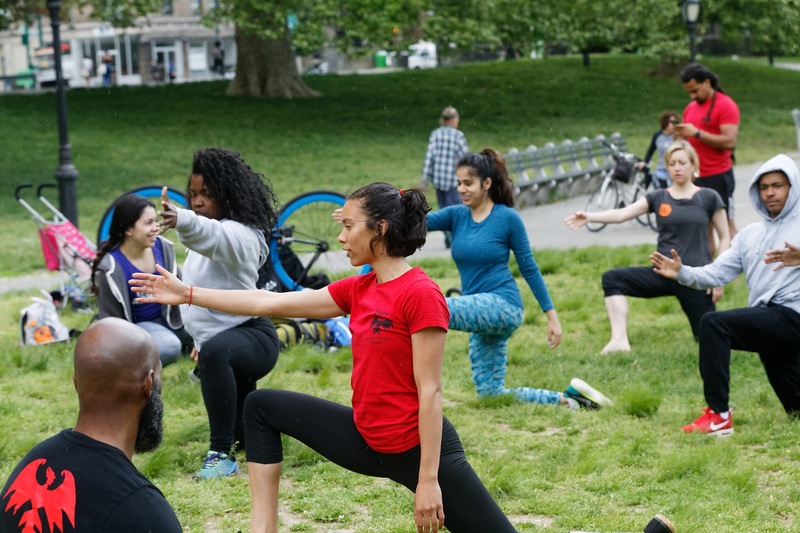 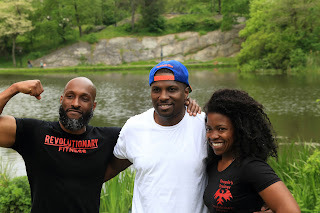 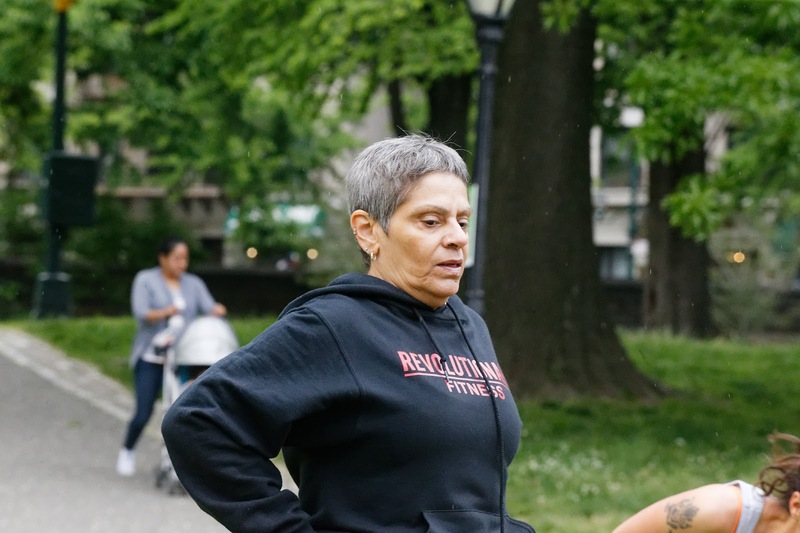 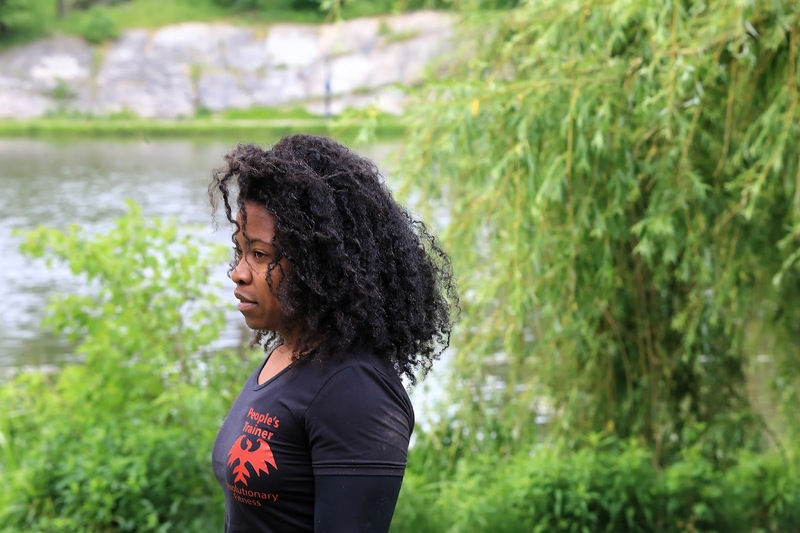 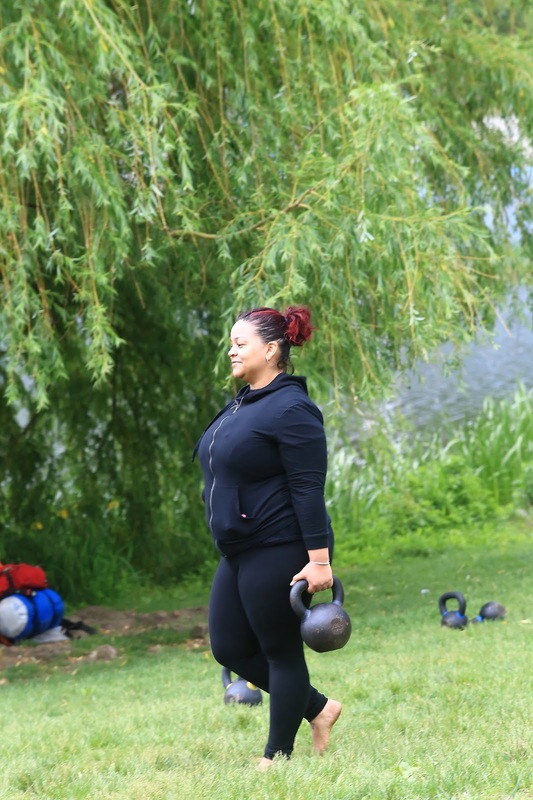 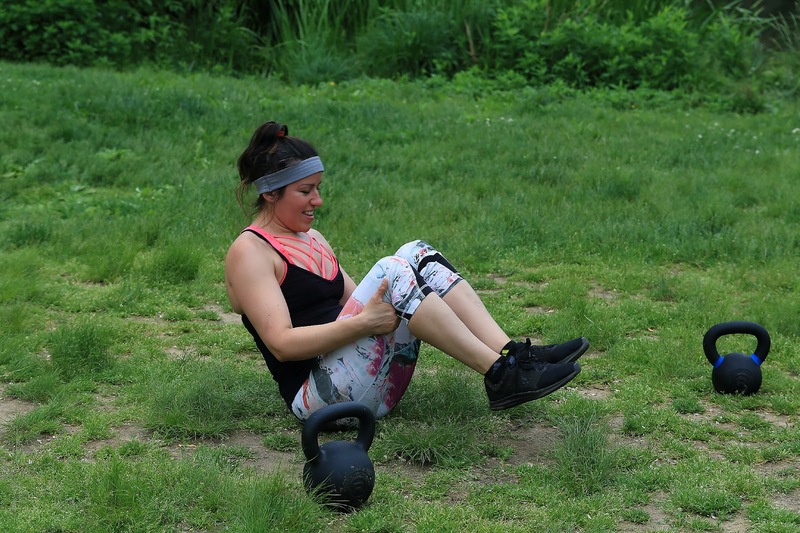 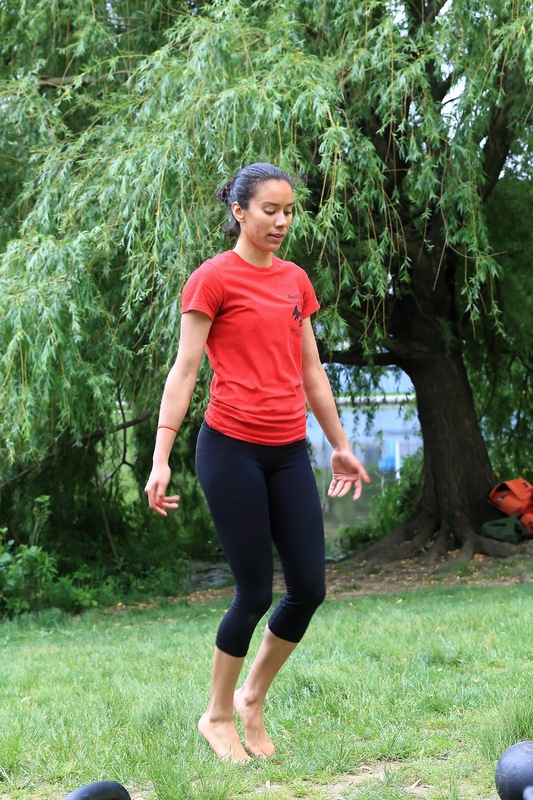 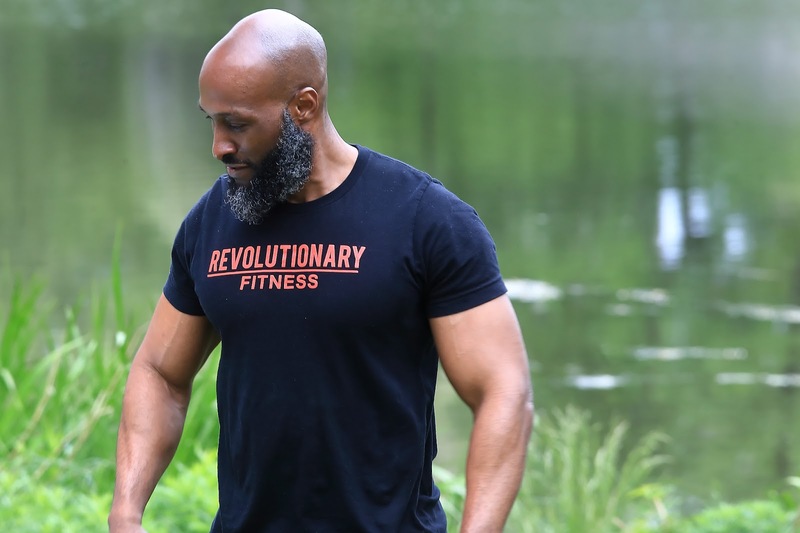 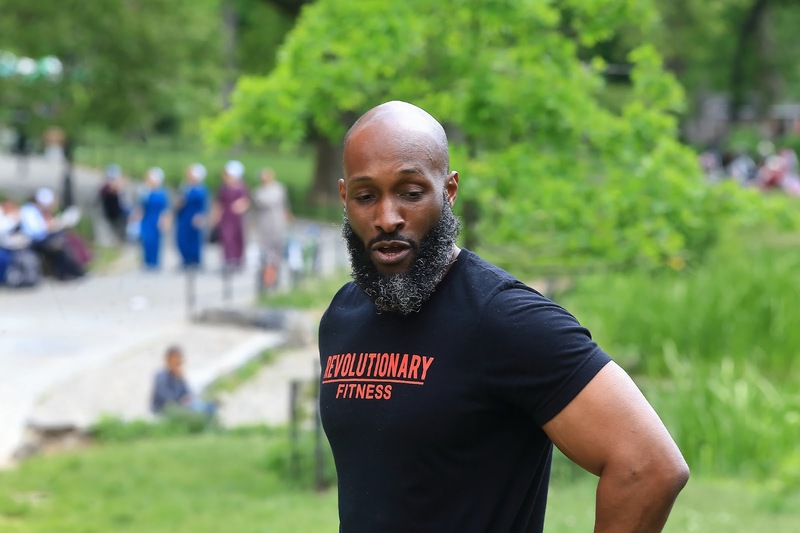 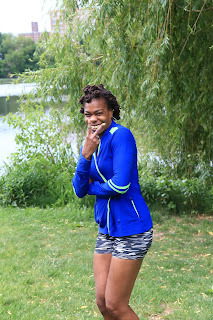 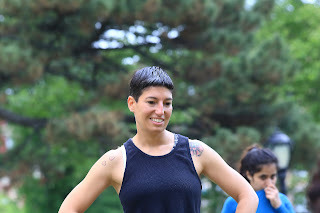 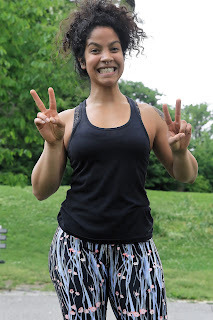 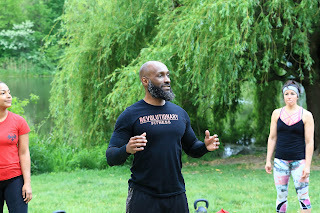 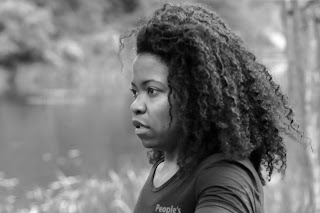 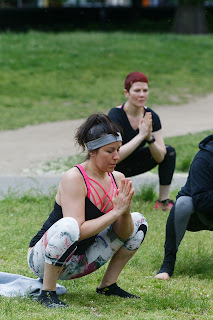 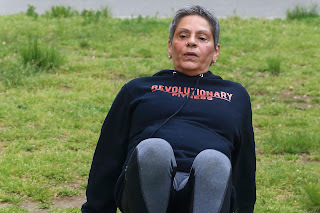 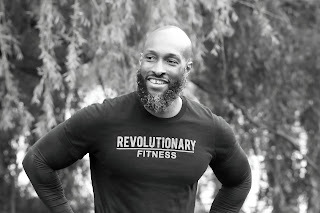 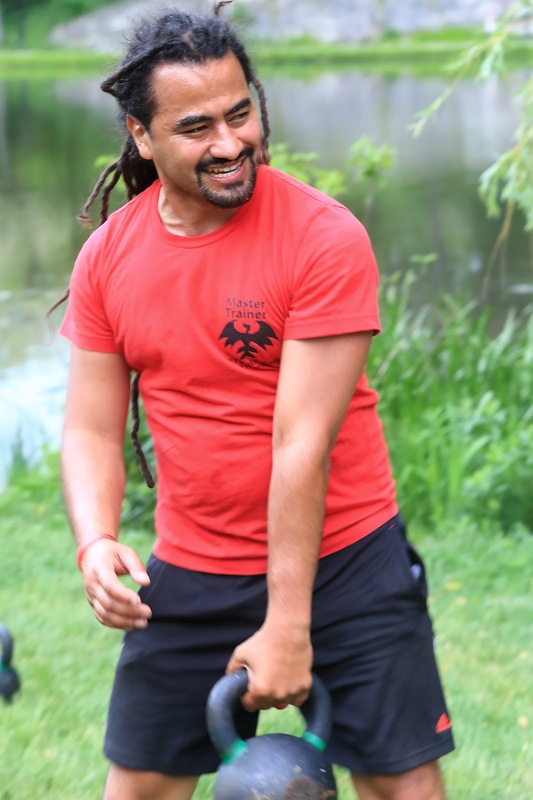 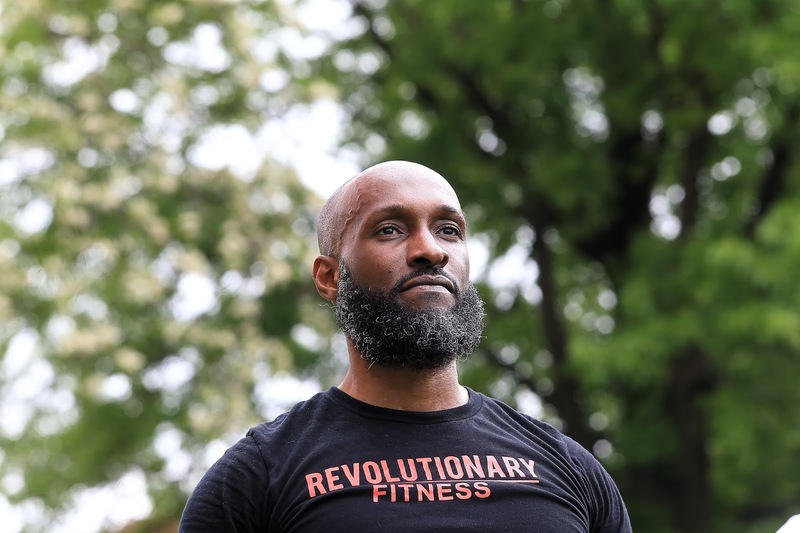 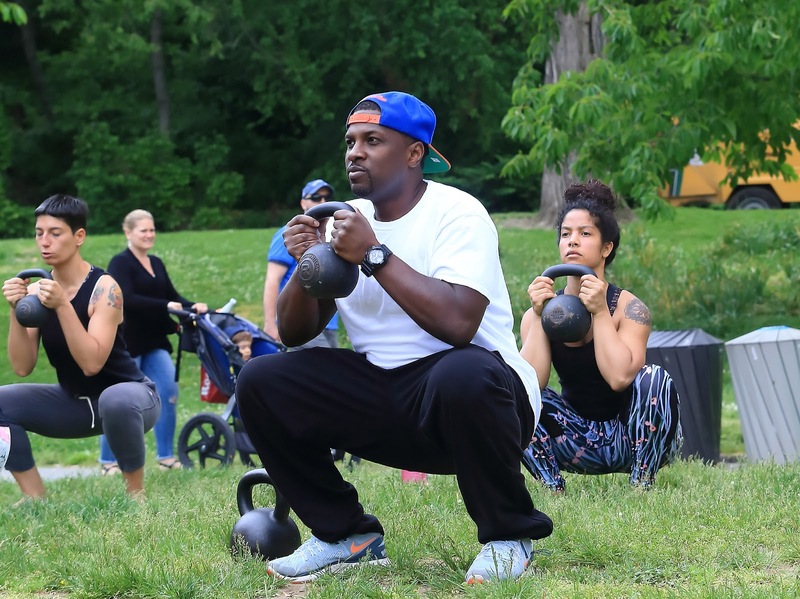 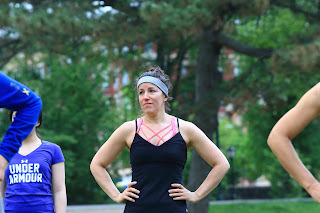 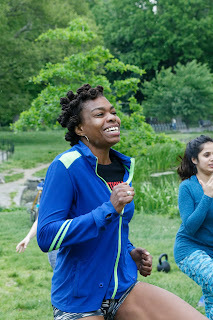 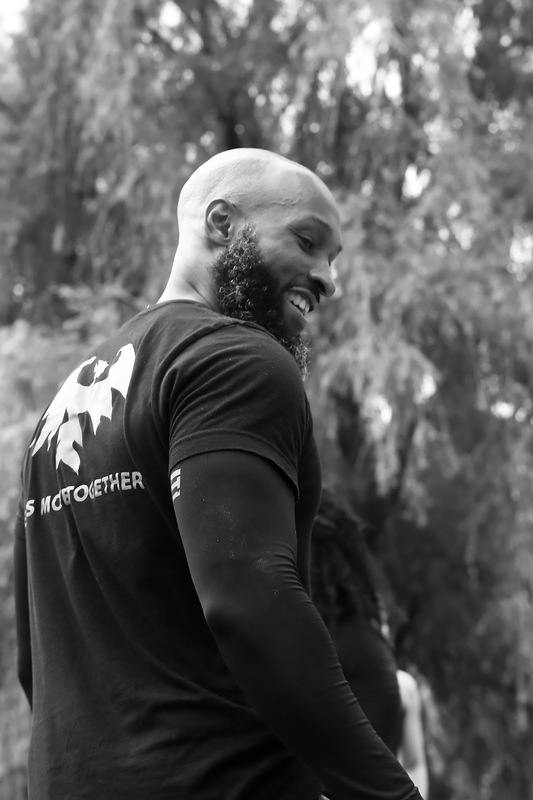 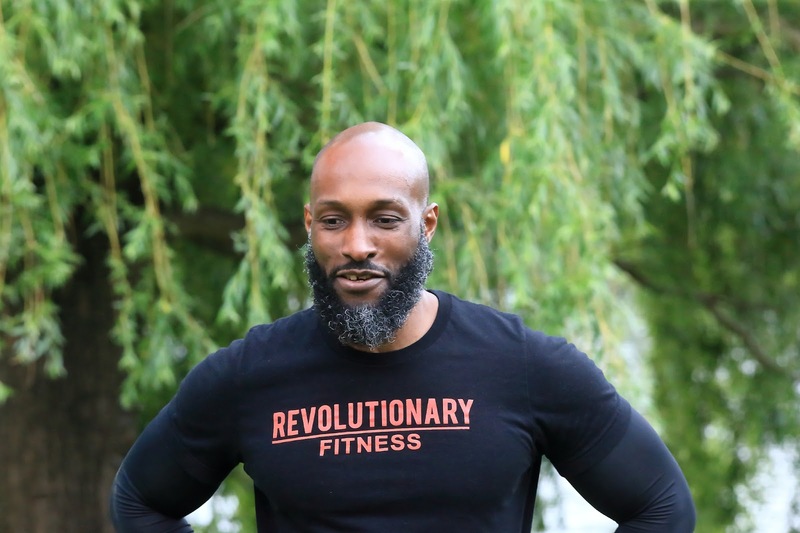 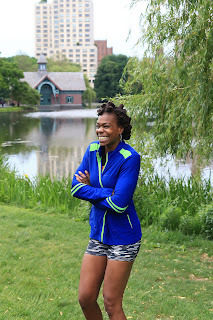 One of the many beautiful aspects of Revolutionary Fitness, that was apparent even on first impression, was seeing people from all walks of life coming together and being supportive of one another in the spirit of total wellness. The latter is an integral aspect of the fitness industry that some justifiably believe to be less of a priority in today's over-marketing of aesthetics over longevity. 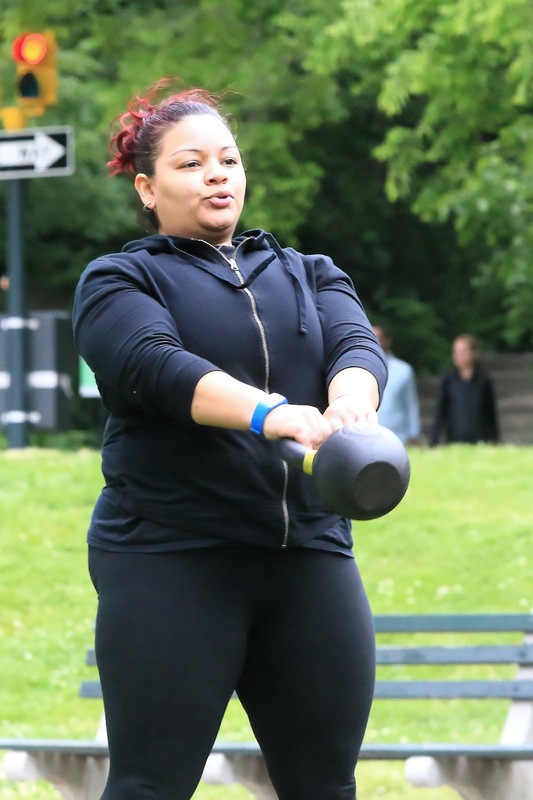 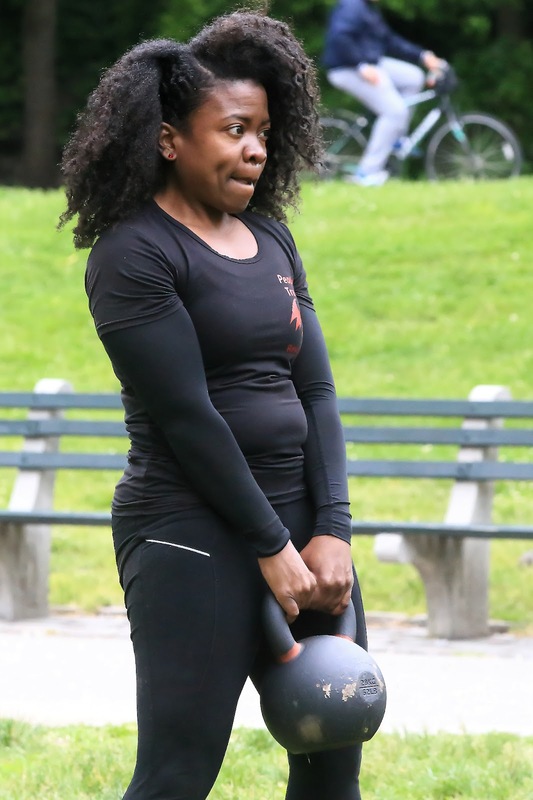 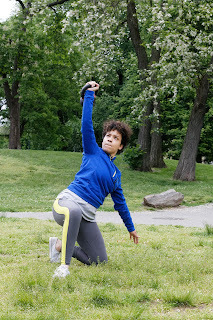 We considered the opportunity to photograph Revolutionary Fitness's kettle bell seminar held in a scenic and serene Northern topmost part of Central Park an excellent opportunity to both highlight and showcase the importance and natural beauty of human movement: as a tool of connecting with kindred spirits, raising awareness on the tremendous value of an active lifestyle, and its beneficial effects on physical and mental health, longevity, and the beauty of camaraderie and teamwork. 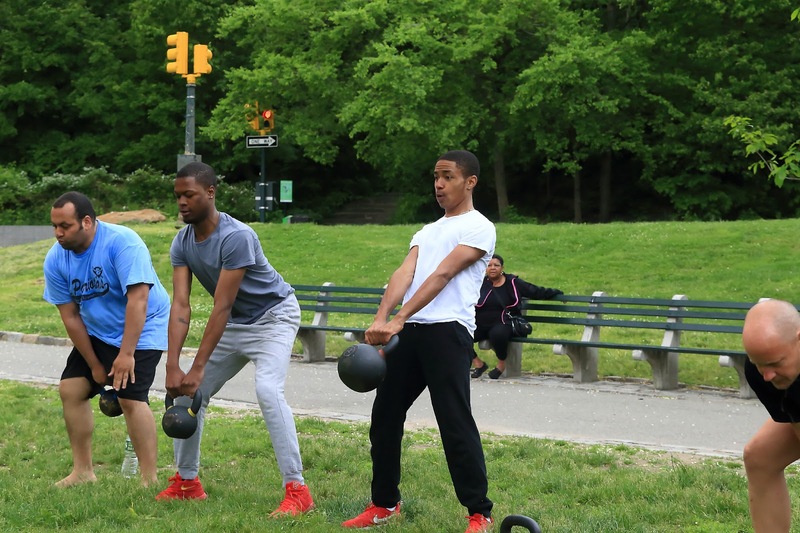 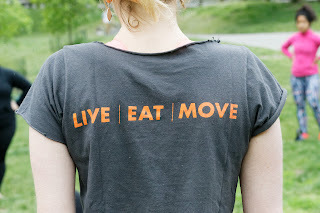 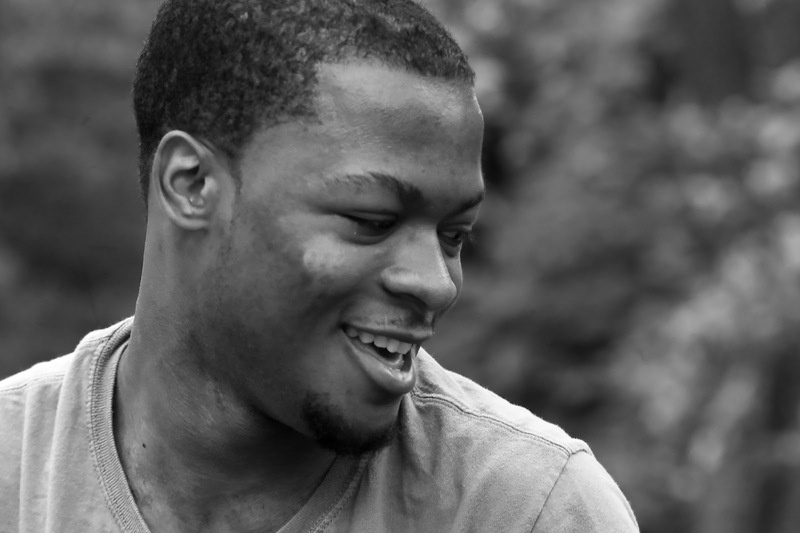 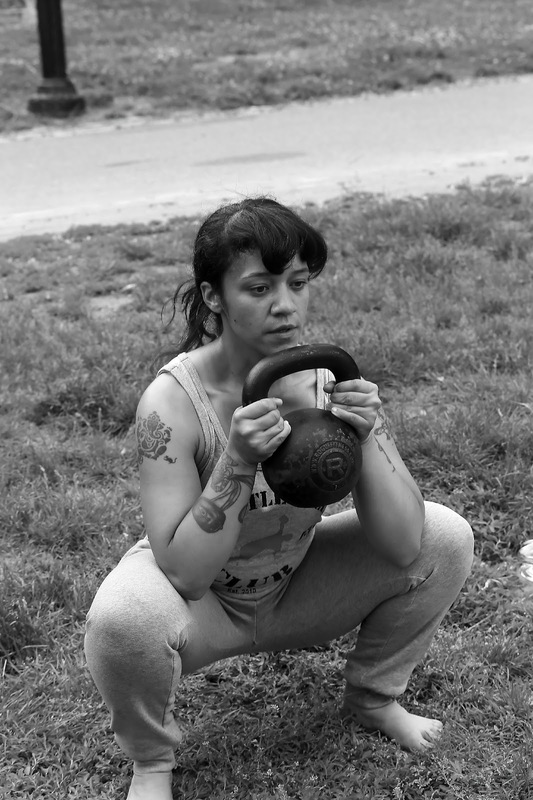 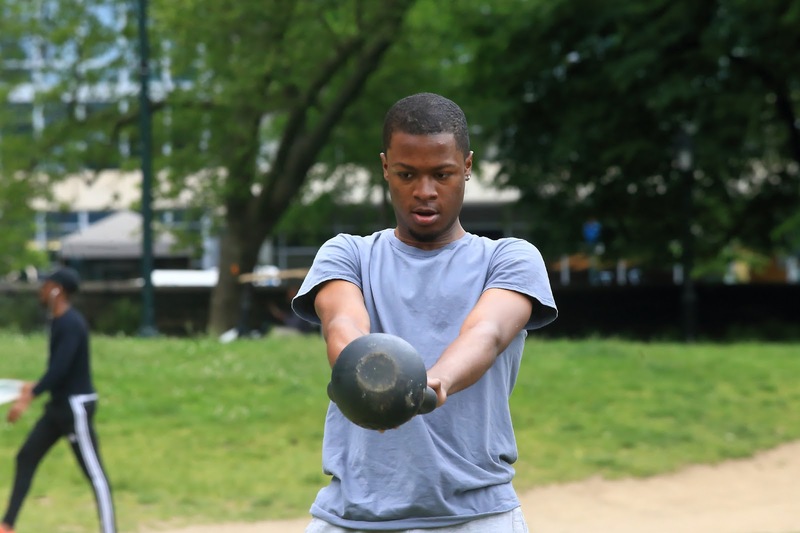 We attempted to capture the essence of community-based fitness as an urban art form. 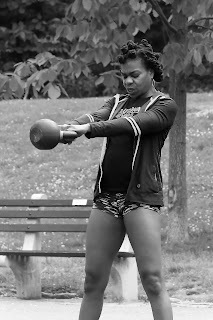 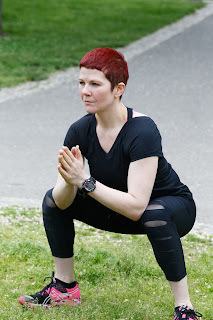 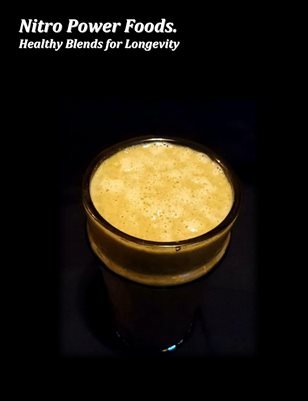 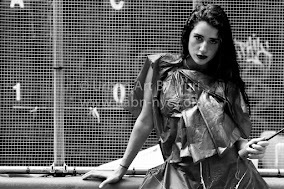 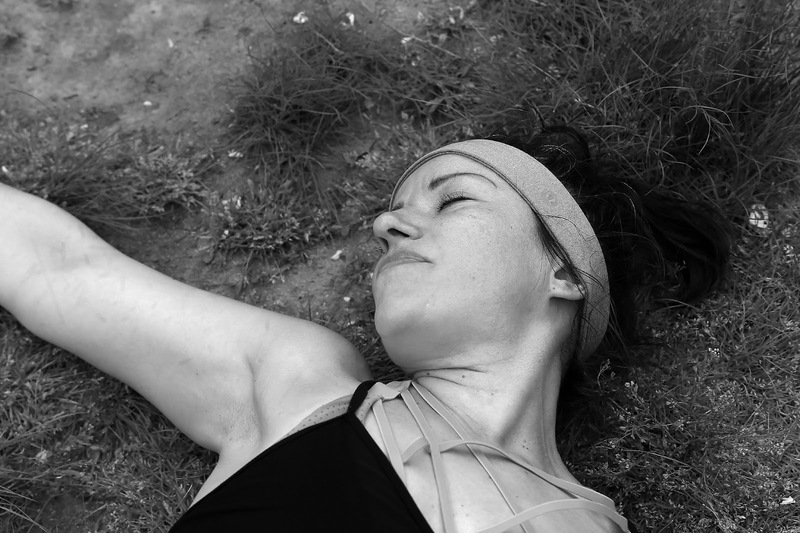 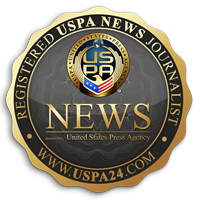 Training for wellness and longevity in a fitness medium where you are pushed out of stagnation, where your sheer grit, endurance, strength, mobility, power and spirit are tested, where you get very challenging yet functionally sound training based first and foremost on love and acceptance of all, can be considered a severely endangered or even lost art form. 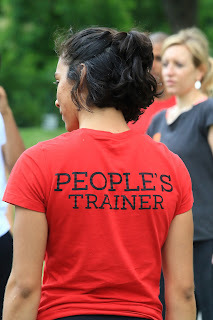 It is most heartening when something so valuable can be found at Revolutionary Fitness, 'The People's Trainers'.